KBD is excited to announce the launch of our new website mykbdhome.com!!! We are truly excited to present this website as a representation of the KBD brands, bringing every facet of our products and services to clients. For the past 16 years Kitchens by Design has taken a holistic approach to design, coordinating a cohesive space plan and design with fixtures like cabinetry and countertops. As our team has grown, bringing individual ideas, strengths, insights, and talents, our process has become more collaborative, allowing clients the benefit of many ideas and years of experience. Our clients needs have also expanded and as such our vision at Kitchens by Design has evolved. These changes lead to growth in the products and services we offer and culminated in the launch of KBD Home in 2013. While Kitchens by Design continues to serve clients with cabinetry design expertise, KBD Home is a design and retail boutique of home furnishings, hand-crafted bedding and pillows, and home accessories. 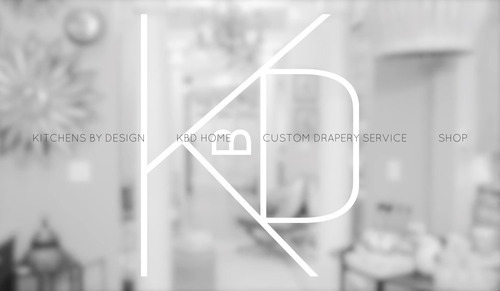 The opening of KBD Home prompted the addition of Custom Drapery Service to the KBD team. For over sixty years CDS has been creating one of a kind window treatments in the Indianapolis area. We are excited to have veteran seamstresses fabricating hand-made draperies, pillows, and custom bedding all in our on-site workroom. 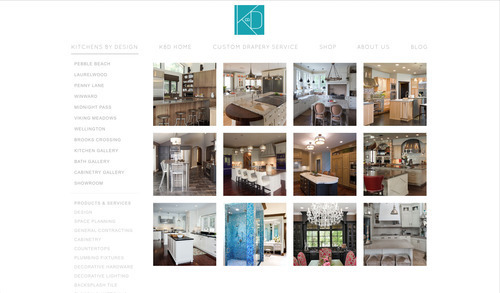 KBD is excited to showcase our cutting edge ideas and design abilities in all areas of the home on our new website. 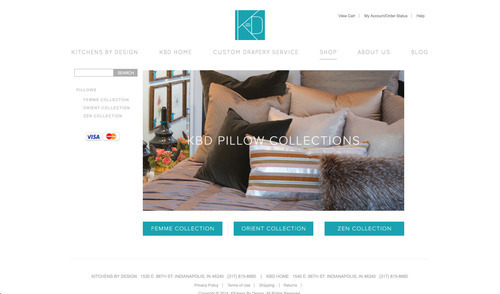 Please take the time to browse our online gallery of projects, learn more about KBD and our team, and visit our online store featuring our latest pillow collections! If you see something you like please give one of our designers a call or stop by to visit our showrooms and see everything we have in store to make your home a KBD HOME.